Dancing will change your life guaranteed! I have been in the Ballroom Dancing industry for 30 years now, and I love nothing more than to share the life changing stories that I have seen firsthand! What I feel people don't realize when starting to learn how to dance is that about 90% of dancing is mental and emotional! It is rare to find people who want to learn how to dance just because they are curious about memorizing step patterns! More often than not, people have an emotional drive to change something in their lives! For a wedding couple, dancing might be symbolic of their union and desire to work together to create something beautiful! 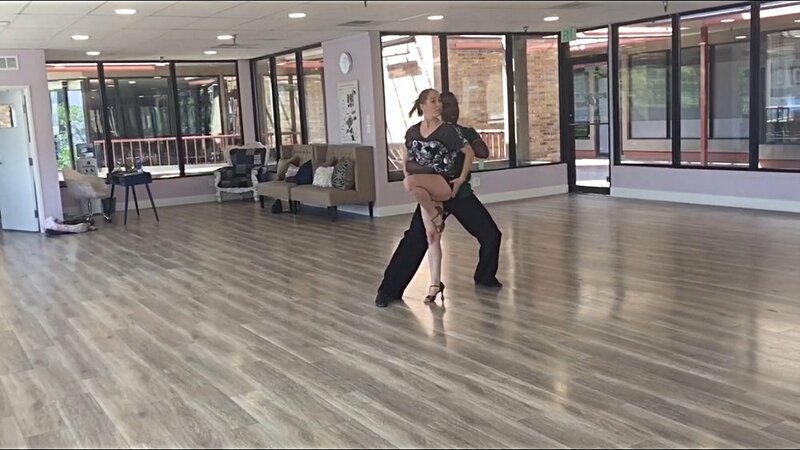 For others, the drive can be anything from changing their self-image and physical muscle tone, to wanting to attract the love of their life, to getting out of the house and being around others, to gaining recognition from friends and family that they are competitive Ballroom Dancers! There is never a reason to dance that does not come from an emotional place. Why? Because dancing is an elective sport! It is for enjoyment, personal growth, therapy, unity, and so on! I have owned and managed multiple studios in multiple locations around the US and I have seen firsthand that students’ personalities are all unique. However, one thing is undeniably the same—growth! Personal, emotional, spiritual, and physical, every student undergoes growth, no matter what their circumstance might be! I have known students who have lost 50lbs, changing their entire physical appearance to look years younger. I have known students who have lost their significant others and who, through dance, have found new friends and a studio dance family. This helped them not only to find a way out of severe depression but also a new path of life without their other half. I have known students who were introverted but who had such a strong desire for recognition in the arts that they were able to overcome their fears to become some of the nation’s top competitive ballroom dancing students! I have known youth who have started out shy and found their voice and confidence through dancing, one of whom received a full ride scholarship to college! I have known a wedding couple with one person in a wheelchair who had the desire to dance with his wife on their wedding day. Together, they learned how it was possible to have a choreographed wedding dance! I have also known a couple who decided dance together as a last resort to save their marriage. The couple not only stayed together, they loved dancing so much that they started competing all around the world together and now have a hobby for life! I love to see the personal change and personal growth in my students who have each decided to dance through life instead of managing "the struggle!